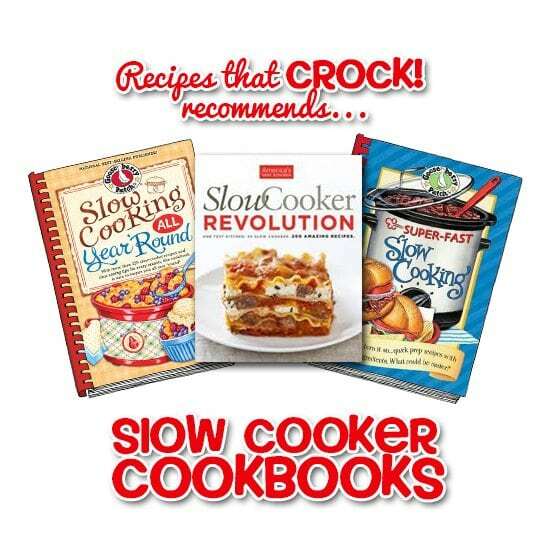 3 Fantastic Slow Cooker Cookbooks - Recipes That Crock! Do you have a crockpot and now you aren’t sure what to do with it? Or , are you looking to purchase a good slow cooking cookbook as a great back up to a wonderful site like the one you are reading right now 😉 Or are you like me, an uber-cookbook collector and lover of all things slow cooking and you want to make sure you don’t miss a great find! 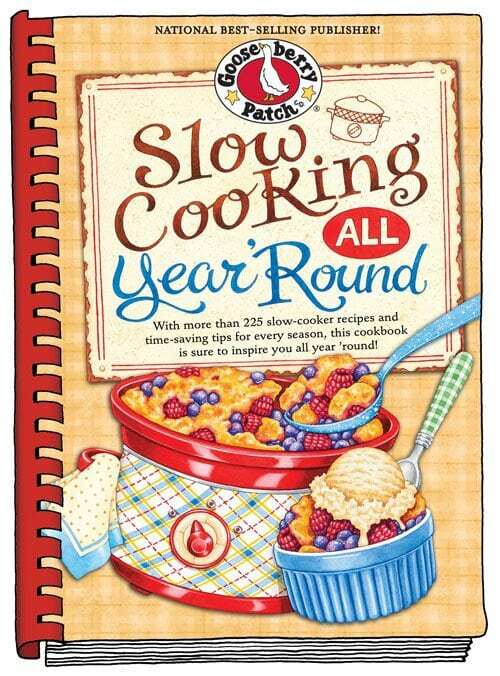 Today I am sharing my very favorite slow cooker cookbooks… today. I mean now that it is my job to crock pot cook constantly and the fact that I love me some cookbooks, I am guessing this list will grow and grow and grow. First up HAS to be Slow Cooking All Year ‘Round. I have cooked and cooked and cooked from this baby. It is consistently superb. I have made dinner from it and created quite the party spread from it using my 3-Pot Buffet Slow Cooker. 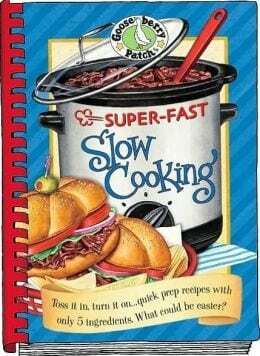 In fact, I pretty much used this cookbook exclusively during my Crockpot Week over on Goodeness Gracious earlier this year and I may just have a couple weeks dedicated to this book coming up here on Recipes That Crock! Next up is Aunt Lou’s favorite, Super Fast Slow Cooking. This book is fantastic for those no fuss dishes that you literally just toss together in a few minutes in the morning and come home to an amazing meal at the end of the day. I love Gooseberry Patch’s simple way of making things special. And this cookbook is perfect for families on the go who want a home cooked meal, but don’t have a lot of time to spare. Last but not least is for those geeks out there — like me– who like to know why things work and why things don’t. 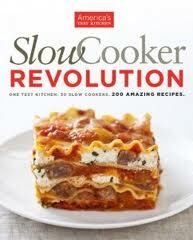 America’s Test Kitchen’s Slow Cooker Revolution is fantastic. It is as much a “how-to” manual to all things slow-cooking as it is a recipe collection. If you want to get the most out of your slow cooker investment, this book is for you.